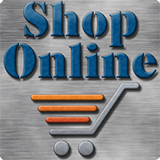 First I would like to announce that we have added some Canare products! 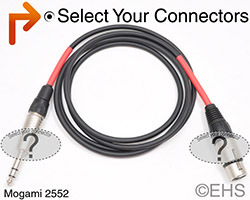 We have added GS-6 heavy duty guitar/instrument cable and the L-2T2S heavy duty balanced/microphone cable. These are on the site with all the options and top quality construction like usual. In the future, we hope to add more but wanted to give these a try first. If you have a Canare product you’re interested in let us know. We are the ultimate Mogami fans! We think they are the best of the best – best sounding, very durable, but still very affordable. In our book, that makes them the best value in cables out there. 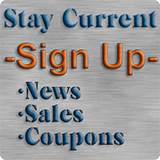 So why did we add Canare to the product list? It comes down a lot to shielding. Mogami has great shielding that we would never complain about. Mogami typically uses a wrapped (served) shield. This is normally 20 or more thin wires that basically spiral down the length of the cable around the core wires. Canare also has a great shield too but it is typically braided. This is many thin wires wrapped in opposite directions in an over-under pattern (braided). The wrapped shield can offer better coverage with a maximum of 100% coverage, but has the potential of shifting over time especially with poor wrapping or cable handling. When wrapping up a cable badly, you can basically force the cable to twist directions it does not want to. If these twists are in the same direction as the shield twists, then you might start to untwist the shield leaving gaps in it. That is an extreme case, but even day-to-day use can create small gaps that can refill as the cable gets moved around. I have had comments that some people don’t like how Mogami wraps up (I have never had an issue), but I suspect that this could be because of the wrapped shield. The braided shield has a maximum of 95-96% coverage because of the construction. Basically every time a wire switches from over to under in the braid it leaves a little hole next to that spot – think of a basket, with all the little holes because you cannot put the material closer together. As you flex the cable or wrap it, everything might shift a little but it is held mostly in place by the other wires around it. This solves the wrapping issue because the wire is the same every way you turn it. This means that over time it is almost impossible to create gaps in the shield even if you abuse your cables. 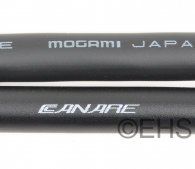 So, to conclude – both brands are high quality and you cannot go wrong either way, but all things considered you might prefer Mogami if sound quality is your top priority but with the shielding differences consider Canare if you prefer the extra durability. So what is your favorite shield type? What do you think wraps better, Canare or Mogami? Got any other topics you’d like me to cover?